UC Forward grant. Project-Based Collaborative Coursework for Developing Connected Transportation Network and Accessible Multimodal Hub in Uptown. Co-PI: Heng Wei, Na Chen, Xinhao Wang, Jiaqi Ma, and Ming Tang. Total $27,500. The goal of the proposed project is to adapt and integrate a series of disciplinary courses from the existing CEAS and DAAP curriculums to produce products that proactively enhance the Uptown Innovation corridor from “smart” multimodal choice, transit-bike-pedestrian friendly, residential-business favorably perspectives. These collaborative courses will primarily target undergraduate students. Major activities associated with project design, research and system development will be executed at the 1819 Innovation Hub. Objective 1: To conduct the Uptown Transportation Demand and Planning Survey among community collaborators to inquiry the information about future socioeconomic trends, demographic and employment changes, land use demand, multimodal transportation vision, and transportation infrastructure needs for Uptown development. Objective 2: To develop a conceptual design of the Uptown Transportation Network and Multimodal Transportation Hub to address the documented demand and needs, including access to bike infrastructure and pedestrian routes as an important part of the MLK “Grand Boulevard Plan”. The conceptual design also considers how the network and hub will enhance the visioning service and accessibility across all modes of movement among institutional assets and neighborhood in Uptown, the surrounding areas and the entire Cincinnati region. Objective 3: To develop a conceptual design of the Multimodal Transportation Hub that will support BRT, Bus, Shuttle, Streetcar linkages and is proximate to a proposed LRT alignment. Commuter parking capacity is called for as the hub may have a direct link to SB I-71 off-ramp to MLK. Objective 4: To produce the Concept of Operation in terms of the technological innovation in future with an overview of best practices in “smart mobility” that might be applicable to support the Uptown Transportation Network and Multimodal Transportation Hub. Objective 5: To analyze, visualize, and compare social, economic, physical, and environmental consequences of different scenarios related to the Uptown Transportation Network and Multimodal Transportation Hub. Course 1: PLAN5158/6058 – Transportation Planning, offered by Dr. Na Chen in Fall Semester 2018. This course provides the foundation for further analyses in other courses. Course 2: CVE5110C/6110C – Advanced Transportation Engineering, offered by Dr. Heng Wei in Fall Semester 2018. This course works along with Course 1 to use the survey results as guides for producing the conceptual design of Uptown Transportation Network, which serves as the starting point for the following courses. Course 3: CVE5112/6012 – Travel Demand Forecasting and Environmental Analysis, offered by Dr. Heng Wei in Spring Semester 2019. This course continues the Uptown Transportation Network design with a focus on the conceptual design of the Multimodal Transportation Hub. Course 4: CVE5124/6024 – Highway Engineering and Safety, offered by Dr. Jiaqi Ma in Spring Semester 2019. This course accompanies Course 3 by providing alignment and geometric design of roadways associated with the Multimodal Transportation Hub. Course 5: ARCH4002 – Urban Mobility Architecture Design Studio, offered by Ming Tang in Spring Semester 2019. This course will include the conceptual designs developed in Courses 2-4 to create a design responding the future urban mobility. Course 6: PLAN5191/6091 – GIS Project Formulation & Management, offered by Dr. Xinhao Wang in Spring Semester 2019. 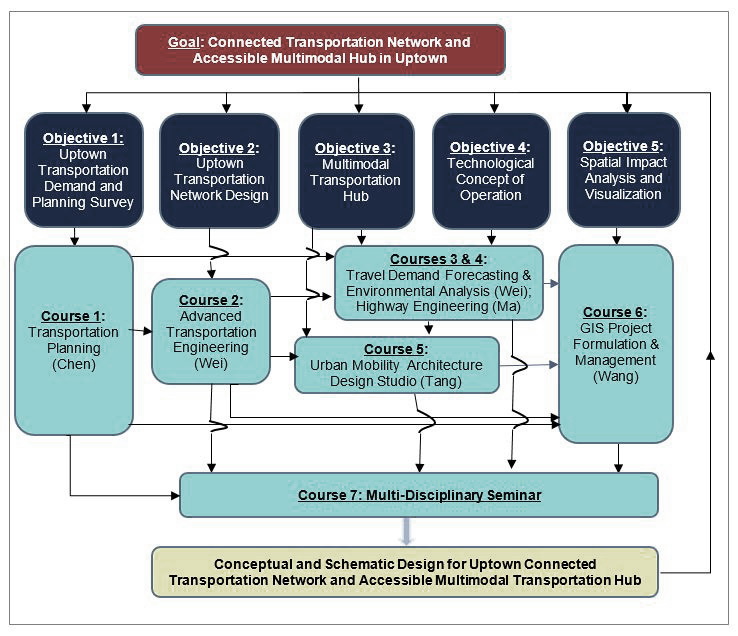 This course takes the survey result (Course 1), Uptown Transportation Network design (Course 2), and Multimodal Transportation Hub design (Courses 3 and 4) and conceptual and schematic design (Course 5) and conducts spatial analysis to provide system-wide consequences of different development scenarios. “Optical Illusions of Volume” critiques the ubiquitous obsession with optimization in computational design and fabrication. As an alternative, “Bubbles” begins to exploit misbehaviors in the ideal file to factory methodology. The work reconciles conflicting attitudes between traditional CAD/CAM strategies, augmented reality, and analog post-processing techniques. The project employs the use of a lightweight sheet material, parametric design, holographic imaging, and investigates accidental and more intuitive assembly strategies. In this way, we develop techniques within the digital process that exploit a non-linear design and fabrication approach in which the human and the machine become increasingly disrespectful of each other’s artificially delineated boundary. Therefore, what are considered by norm flaws, or faulty formations, can open up intriguing opportunities in architecture, otherwise neglected. Mara Marcu is an architect and professor of architecture at the University of Cincinnati, School of Architecture and Interior Design. Founder of MMXlll (which stands for Merely Maybe x Idyllic Imagination Inflicted–or simply– MM Thirteen), she structures her work around various collections. Their focus ranges from optical illusions of volume, mathematical experiments, the metamorphosis of two dimensional material to three dimensional form, the possibility of endless variation through human interaction, the natural versus the artificial (and “the everything else” that lies in between), emergent textures, degrees of transparency, breeding taxonomies to emergent primitives. Ming Tang is an architect and professor of architecture at the University of Cincinnati, School of Architecture and Interior Design. He is the founding partner of TYA Design–a multi-disciplinary research practice which includes computational design, digital fabrication, BIM, performance driven design, virtual reality & augmented reality, crowd simulation & way-finding, and human-computer interaction (HCI). Adam Schueler is an architectural designer, a graduate of the University of Cincinnati, School of Architecture and Interior Design and a Master of Architecture candidate at the University of Michigan Taubman College of Architecture and Urban Planning. His work prioritizes a keen interest in the less than ideal, in the peculiar and the sublime over the ever-changing architectural style. 01. Point your phone camera app at the QR code to scan. 02. Open the URL link in browser. 03. Download the “HP Reveal” app. 04. Follow the steps to install the app. 05. 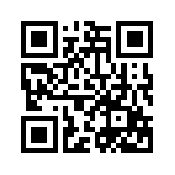 Re-point your phone to the QR code and scan again. 06. Open the URL link in browser. 07. Choose “follow.” You don’t need to sign in. 08. Open the “HP Reveal” app. 09. Scan the tracking image on the front. 10. You should see a virtual model pop up. Tap the object to switch display, or double tap to open our web page. The ‘DATA & MATTER’ Exhibition is hosted by the GAA Foundation, European Cultural Centre that will take place at the Palazzo Bembo during the Architecture Venice Biennale 2018, from May 24th to November 25th 2018 in Venice, Italy. 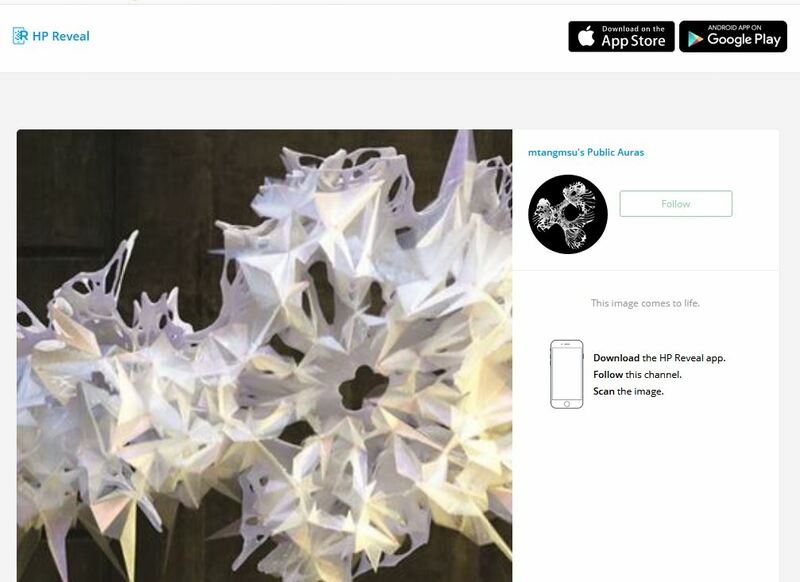 This exhibition presents a group of projects by leading international designers using emerging and novel forms of reading and producing spatial conditions that connect/visualize data, responsive systems, and sensing/actuation technologies, through micro and macro scales. The exhibition takes the opportunity to exhibit a range of projects, side by side, that transform data as an abstraction into spatial and experiential configurations. It aims at triggering discussion and debate on how the use of data in design methodologies and theoretical discourses have evolved in the last two decades and why processes of data measurement, quantification, simulation, ubiquitous technologies and algorithmic control, and their integration into methods of making architectural form and spatial experiences, are becoming vital in academic and industry practices.